The majority of the path of the proposed Constitution Pipeline (CP)—124 miles long and 100 feet wide or more—would tear through regions of New York that have experienced several 100-year floods in the past decade. DEC, NYSERDA and Governor Cuomo have all acknowledged that extreme rainfall events are expected to continue in the area with increasing frequency. 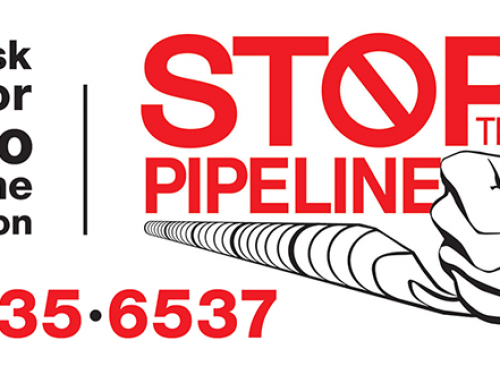 Construction of CP would initially harm and degrade New York State’s water quality by upsetting massive amounts of soil and vegetation in and around each of the 277 waterbodies the pipeline would cross. That degradation would increase exponentially with rain, inevitable during CP’s 9- to 12-month-long waterbody disruption process. Prolonged and/or heavy rain during this time would also be likely, and could cause catastrophic flooding. Flooding contaminates water. STP letter to Cuomo and Seggos. DEC’s deliberations are not arbitrary. 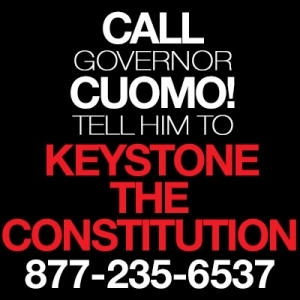 Call Governor Cuomo at 1-877-235-6537 and ask him to Stop the Constitution Pipeline!